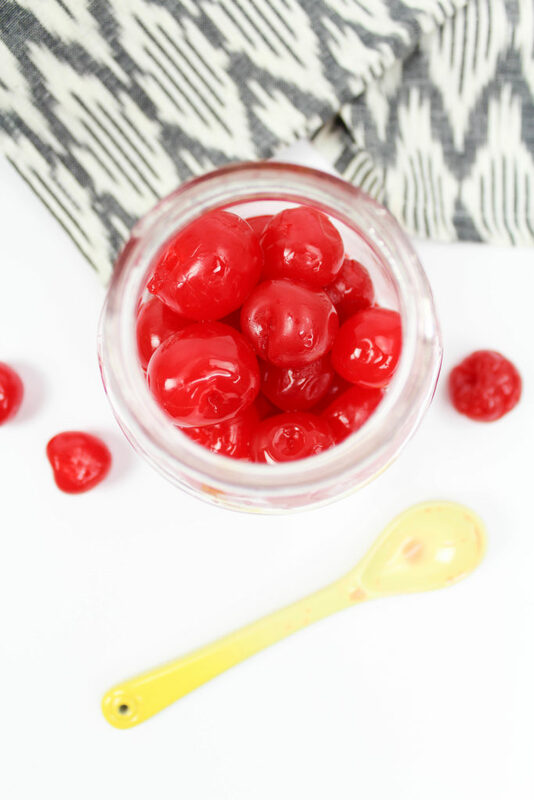 The tutorial for this these boozy rum soaked cherries couldn’t be easier, which is what makes them so great. Well, besides the fact that they are soaked in rum. Ha. Start by draining the maraschino cherry juice from the jar. Set it aside to use later, especially if making cherry flavored cocktails. 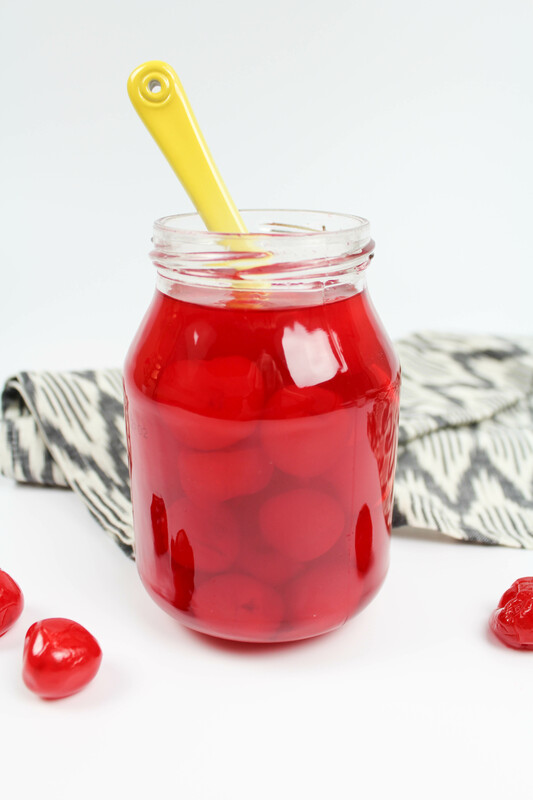 You can choose to use your own mason jar if you want, but to keep things easy, I just stick with the original jar the maraschino cherries come in. 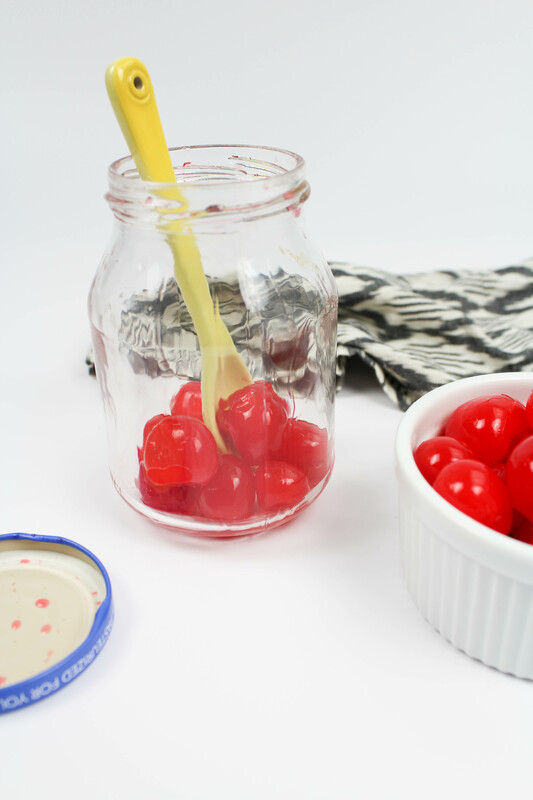 Leave the cherries in their original jar, or transfer them to a mason jar. 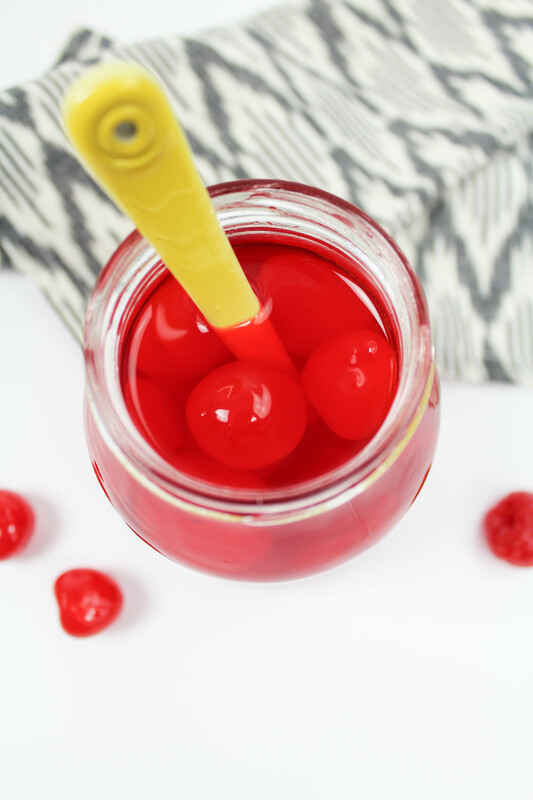 Fill the entire jar with rum, making sure to cover all of the cherries completely. Allow the jar to sit for at least 24 hours, but up to 72. 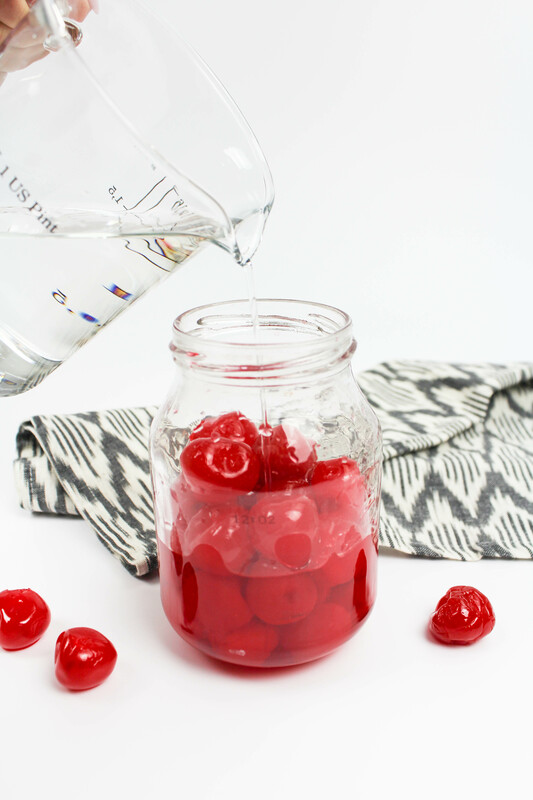 After 24 hours, the cherries will swell up, full of that yummy liquor, and are perfect to serve from then on! 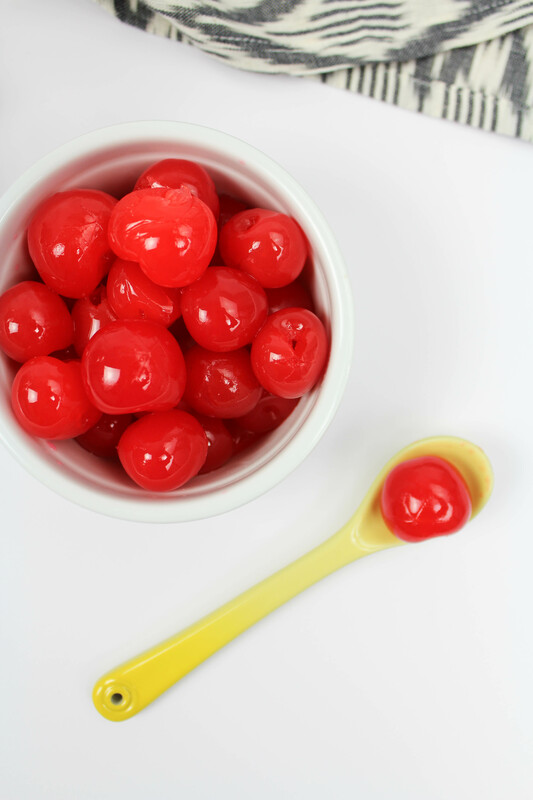 (I tried a few cherries each day, and the ones left for 24 hours were my favorite, but it’s up to you, depending on how boozy you want them to end up). 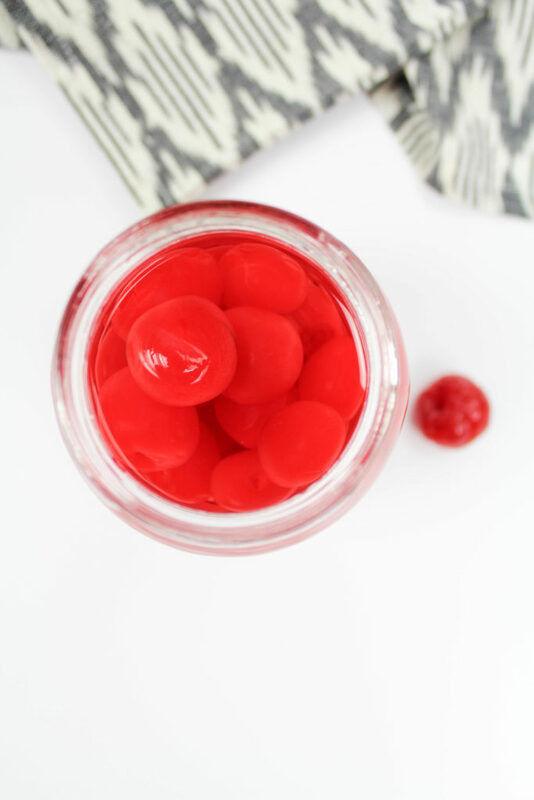 Use them as a garnish for your fave cocktail, mix them into a drink, or pop them right into your mouth straight from the jar. However you choose to eat them, these little babies pack a delicious punch!